Lite'n Foamy Cranberry Ice is a high end, hand, hair and body wash formulated for luxurious foam delivery through Spartan's Lite'n Foamy Dispensers. 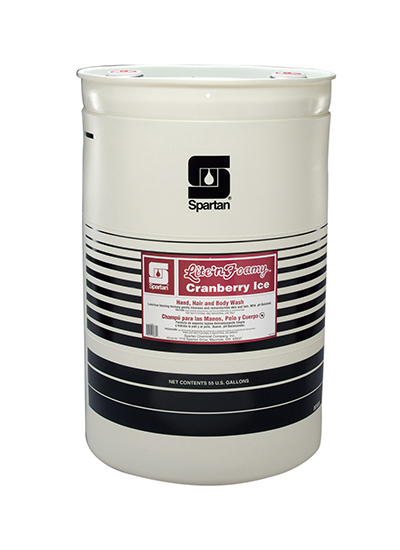 Cranberry Ice has low viscosity and has a distinctive, tangy-cranberry fragrance. The formula does not contain any ingredients that contribute to dry skin. Use of Cranberry Ice will leave skin feeling softer, smoother and silky.